Financial District: Here we have 568 Sacramento, former home to the quietly-shuttered Les Amis and neighbor to the loudly-shuttered Rubicon. 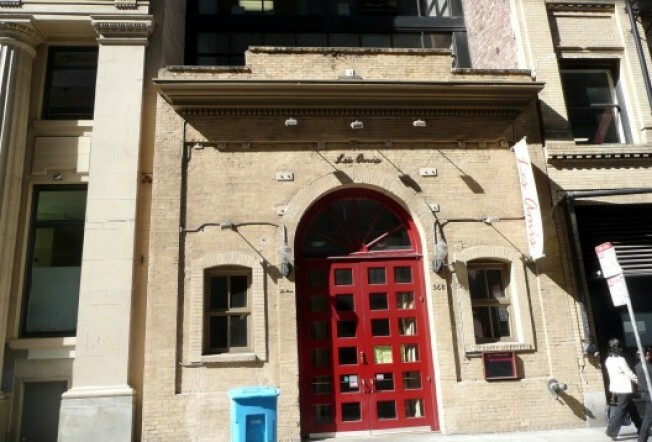 Things have been quiet since the spring (including when Les Amis was still open), but now liquor licenses have the space in the quirky old building being transformed by a new owner into something called Wexler's. This particular block of Sacramento has not had a very good year, but we suppose it's never too late for a turnaround. If you have more info on Wexler's, kindly do pass it along.